This large music storage cabinet features a lower standing height, making it suitable to be placed under most windows. The cabinet is handcrafted by GRK Manufacturing in the USA, whose reputation of making high quality music furniture dates back to 1915. Constructed of maple hardwood & birch veneers. 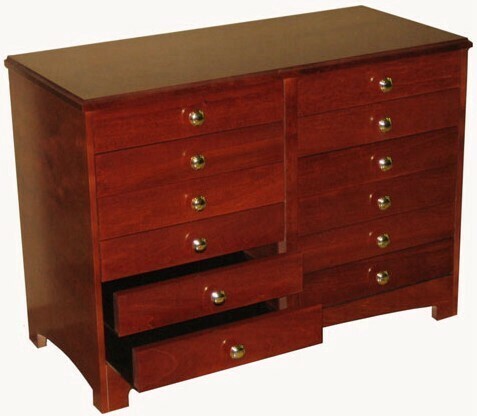 Features 12 drawers with brass plated handles. Opened drawer sides for easier access to sheet music/books.